Late last year Chef Sujan Sarkar brought his acclaimed New York restaurant, Baar Baar, to Delhi as a pop-up. This year he’s got his San Francisco outing, Rooh, to the capital. With international Indian cuisine at its heart, the restaurant has settled in at Mehrauli, with a canopy of greens over its view of the Qutub Minar. Traditional Indian cuisine done in new, quirky way is Sarkar’s signature, be it at Ek Bar which he spearheaded back in 2013, or at his US restaurants. If the number game is anything to go by, there’s another Rooh that’s opening in Chicago soon and a new outpost for Baar Baar as well. Which only goes to show that people are loving what chef brings to the table. 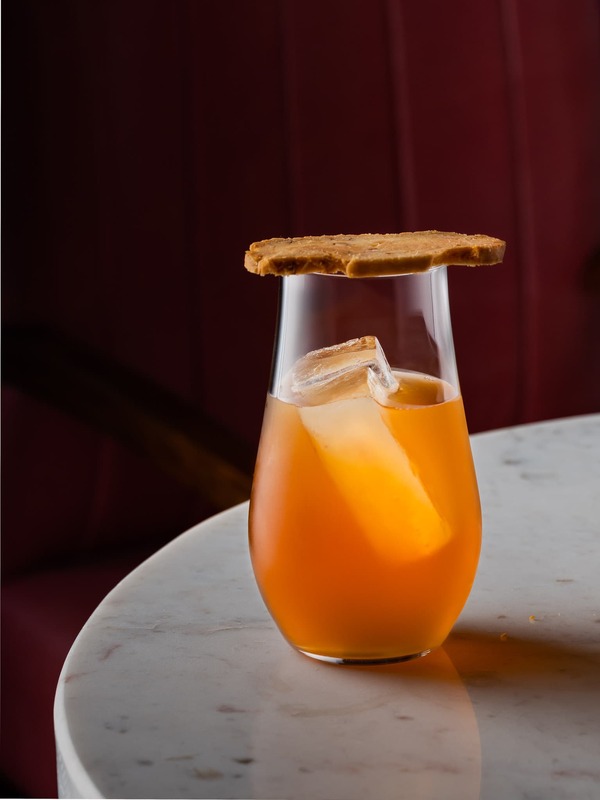 For his latest in Delhi, he’s roped in Priyam Chatterjee (ex-Qla) as the Head Chef, Chetan Gangan (ex-Masque) as the chief mixologist, and sommelier Magandeep Singh for their wine collection, all strong names that have significant experience. Add to that the old Ambawatta Haveli – a large space space with chandeliers and murals – and you have a winning setting. 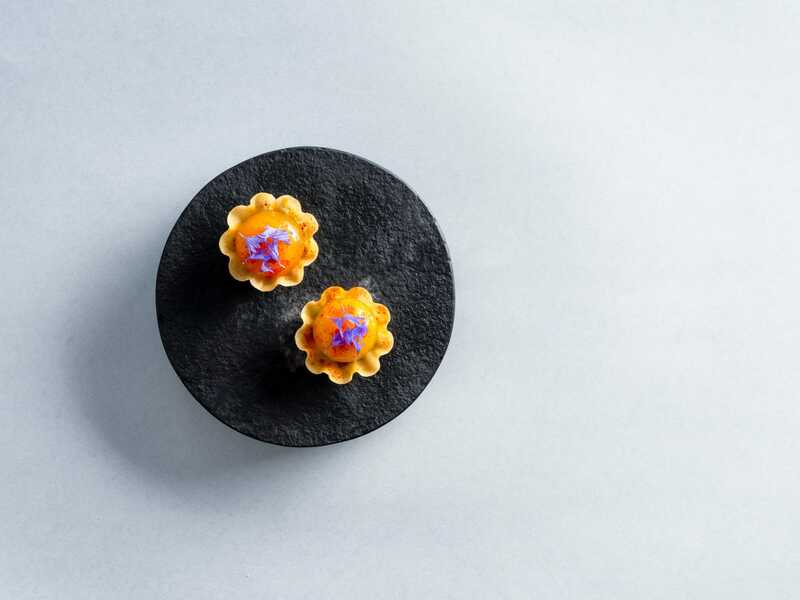 Taking on a path less travelled, Rooh is currently only serving a tasting menu, a concept the capital hasn’t taken to well in the past (cue the Mumbai-famous Masala Library closing doors). However, it’s for one to wait and see if the new restaurant can make it work. 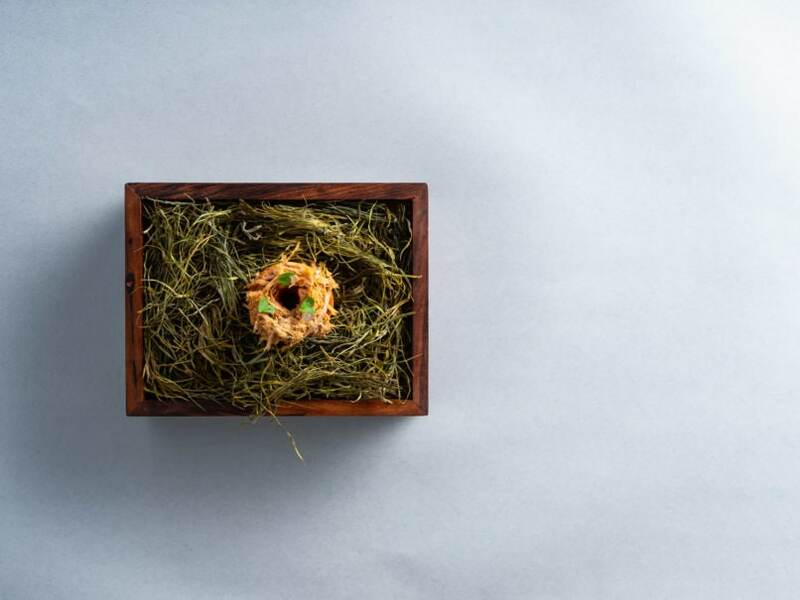 The keenness for detail is apparent, with both the vegetarian and non-vegetarian 11-course menus paired with wines. And their maître d’ unfailingly informed us about the history backing the dishes and the reds and whites that accompany it. A light as air Pork Vindaloo floss on top of a doughnut, a liquid Egg Bhurji topped with Thetcha (the Maharashtrian street food masala) and Pav on the side, a fermented Aloo Parantha with goat cheese and tomato pickle are the kind of dishes you’ll find here. 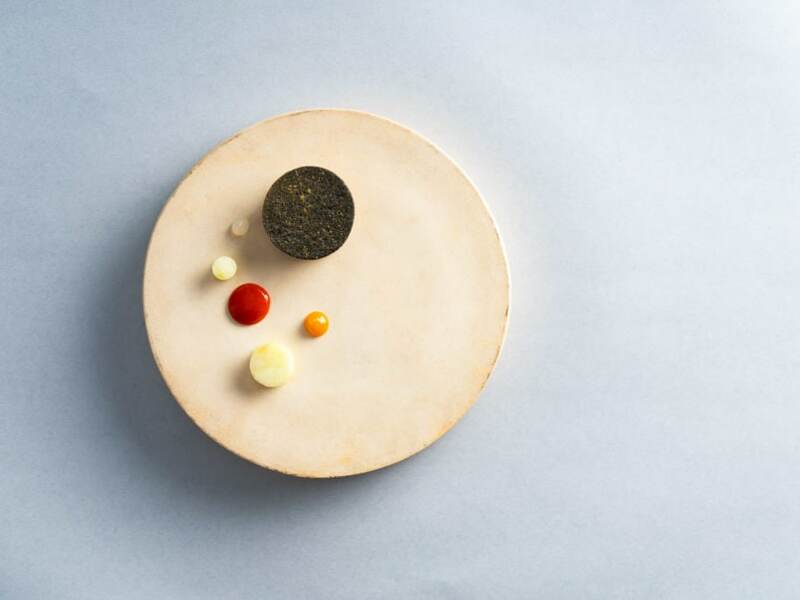 Basic indigenous flavours simply approached in a fresh way – that’s what Rooh is all about. While the preparations are ‘modern Indian’, there’s no fuss involving foams, sprays, and other dramatic presentations. The focus remains on flavour. The Amla, Passionfruit, Yoghurt Tart is a tangy-sweet start to dinner. The Stone Bass comes with Alleppey Curry, Bone Powder Podi, and Prawn Cannoli. The fish curry carries a soft texture and rich flavours, as it should. The Chicken Roulade is ideal for those seeking to whet their North Indian palate, with the Lababdar notes high in the rolled meat. The Parmesan Biscuit doesn’t work quite that well atop the Duck Shammi Kebab, lending more of a burst taste than a cheesy touch. And while Melon and Rasam is a freshening combination, the rasam is just as good without the fruit too. These are however tiny bumps. 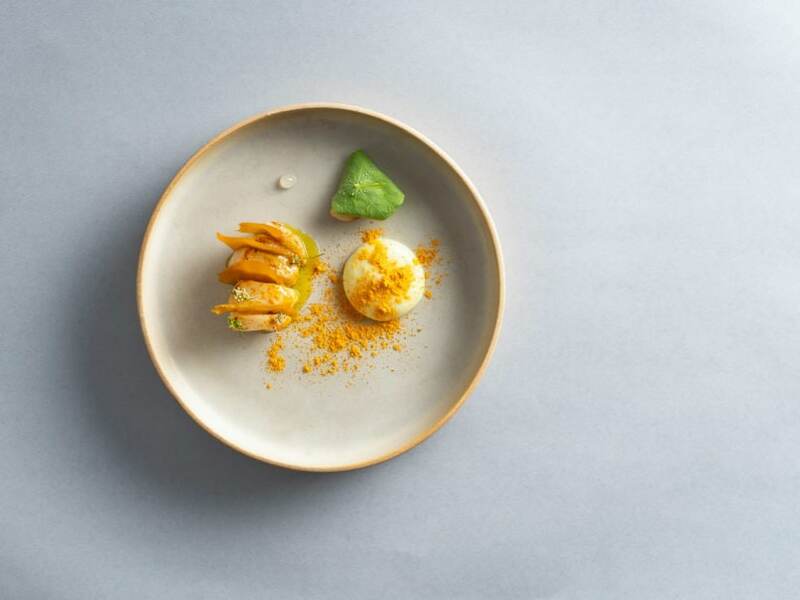 The menu is a mix of the new and the known, making it not too familiar to be boring nor too alien – all in all something that diners would return to. 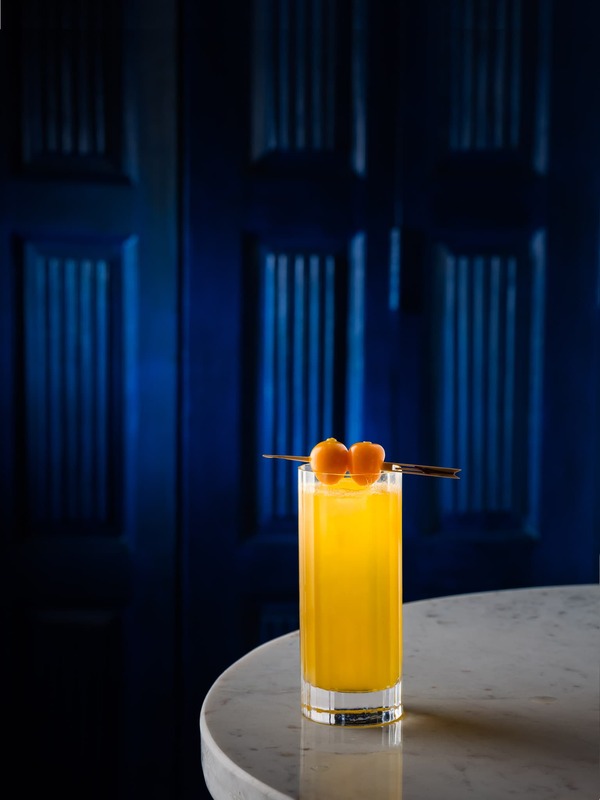 The bar impresses too, with concoctions made out of haldi, gooseberry, kale, coffee etc – the beverages follow the same philosophy as that of the food here, and use Indian ingredients to create potent mixers. The wine list boasts bottles from across the world – India, Japan, Chile, Italy, Portugal, Argentina, and Spain. While the buzzword today for restaurants is ‘experience’ over just food, Rooh is one of those places which actually hit the mark. If you’re looking to indulge in great food, surroundings, service, and overall sanguine energy, this is the place to head to.